The Andrew Bolt judgment (Boltgate? Gatebolt) has had and will have a lot of keystrokes devoted to it over the next while, but most of them will be from either the liberal-left, the cultural left, or the Right. The liberal-left will be well represented by David Marr’s SMH piece last week; the cultural left covers a lot of people identified as ‘the left’ or ‘the Left’, usually by the Right, and will be in no doubt that it is right for the state to rein in Bolt’s skin-based racial classification attempts. The Right has its mission: to repeal section 18c of the Racial Discrimination Act. But what of the material left – Marxist and otherwise – who, if honest, will admit that the Bolt decision represents a bind? On the one hand, Bolt’s use of the power of News Ltd to distribute an idea of race, and a series of insults connected to it, that we have not seen since the 1920s, is vile in the extreme. Purporting to be a campaign against division, it is really an obsession with purity and a fear of ‘race-mixing’ – a translation of the neo-Calvinist faith instilled by his Dutch father. With its obsession with purity – first in doctrinal matters and then rolled over into racial terms when the Dutch-acquired empires – it’s a miserable doctrine, a product of fear and projected anxiety, which can be mistaken for energy. So it is good to see the powerful propagation of this by News Ltd given a push back. But but but … no one who believes in having a critical relationship to the state and its claims can be comfortable with a decision in which a state apparatus determines what is ‘offensive’, to whom and by how much. Or that offensiveness should be grounds for words entering a wholly different category, that of legal sanction. Yes, in material terms there is no such thing as free speech, and the public sphere is shaped by the forces brought to bear, giving the illusion of being some sort of neutral agora or arena. But saying that is not the same as saying that there is no public sphere independent of the state. There is, and it’s where we, as the left, work – and where as part of that work, we advocate things that are by definition in contradiction to the state. In the public sphere we want to advocate civil disobedience, the breaking of laws, the support of armed struggle abroad, and the possibility of insurrection and resistance at home. In other words we are advocating that society see itself and the public sphere as autonomous from the state, and challenge times when the state begins to encroach on that autonomy. Consenting to the state as an adjudicator on all but the most universally abhorrent speech (explicit threats of violence against named individuals, for example), leaves you with little consistent defence when it comes to tell you can’t urge people to break the law, occupy buildings etc. The state will try that anyway, but it will succeed far more easily if you didn’t defend a certain autonomy from the state even when the people using it were odious and powerful. 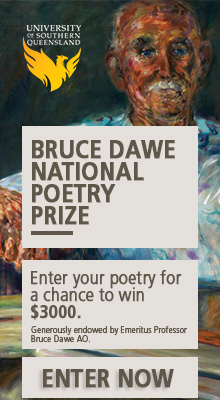 Who really wants to go down the road of said David Marr after all – defending in arch tones the right of Bill Henson to pretty much do what he liked and pouring scorn on the notion that the state might adjudicate offensiveness in art, and then flipping around to do the same thing on Bolt? That is brain-dead Whitlam-era left liberalism, nothing less – the simple belief that everyone ‘knows’ what shouldn’t be said, and whatever is beyond the pale will be self-evidently so. Marr has tied himself in knots over this. One can hardly blame the nine people traduced by Bolt for using what power is available to counter his vicious, destructive baiting. And much of the decision was simply around Bolt’s libellous inaccuracy around the career of complainants such as Anita Heiss. Given the number of lawyers involved, I think a civil libel suit – draining as it can be – would have been a better tactic in such matters, since within a court – acting as a public sphere – Bolt would have been shown up as a reputation-wrecker. But whatever the strategies of the nine involved, the left has to reaffirm again and again the notion of the public sphere as a separate thing, encroached, and distorted by capital perhaps, but nevertheless a social object, not a state-sanctioned one. People who went before spent too many days and years in jails defending the right to urge revolt for it to be compromised by catch all doctrines of offence. In such circumstances, pointing to the power of capital as an excuse to go easy on such state control, is not analysis, but excuse for ducking the tougher fight, including with one’s own side. I agree that this will be a Pyrrhic victory. The only sustainable opposition to racism depends on the mobilisation of popular support. Aside from anything else, these laws can always be changed — and probably will be (at least according to Brandis). Has our side built up any kind of movement that can be mobilised? It seems to me that the case, while it was launched for entirely understandable reasons, was predicated on our inability to deliver any mass response, that the recourse was lawyers was a substitute for an absent popular base. Bolt, on the other hand, has been assiduously building popular support. It doesn’t matter whether Age reading liberals think he’s sloppy with the facts, so long as he has a wide popular readership that thinks he speaks truth to power. Has the court case reduced Bolt’s support in that respect? I doubt it. It’s interesting looking at the Occupy Wall Street protests taking place at the moment. Obviously, it’s in its early stages but it seems to me that, if we had a movement along those lines, the courts would seem a much less attractive vehicle for pursuing social justice. Your approach to the matter is very similar to that taken by Penbo in the Australian & I’ve made essentially the same comments in response to him. I find it surprising that so few commentators understand why action was taken under Racial Discrimination provisions rather than using simply through individual action for defamation. I suspect that this lack of understanding probably flows from those concerned failing to ask Indigenous people themselves about their views on such matters. If it were otherwise, this would not simply be being cast as a debate about “Freedom of Speech”. Other “freedoms” would also be being considered. The applicants in this case could indeed have individually sued Bolt for defamation, and would likely have won. They chose not to do so for two very good reasons. Firstly, to do so, would have inevitably sparked cries from Bolt and others of his ilk (and there are sadly many) that they were essentially “only in it for the money” – one of the very inferences that Bolt himself had sought his readers to draw in his articles. Secondly, and more importantly, this has never been just about the specific false claims made about the individuals concerned, now tested in court. Bolt’s false claims, as Bromberg found, had effects far beyond these individuals that went to matters of the “humiliation” and “intimidation” of a substantial section of Australia’s Aboriginal community, not just the individuals bringing the action. Individual defamation actions do not address such things. Perhaps you have not had the opportunity to see the damage that the continual belittling, denying, damning, and demonising of Aboriginal people as a whole does within that community? I have, over many years. It actually fuels many of the things which Bolt and others put forward as supposed evidence of the “failure” of Aboriginal culture itself, and leads directly to the sort of dispirited desperation reflected in many social problems – high youth suicide rates, apathy, alcohol issues and the like. If the media wish to wax lyrical about the important principle of “freedom of speech” , and avoid the imposition of laws that limit it, then they have to do a danged sight better job of controlling those within their own profession who offend against another equally important right – the freedom of a substantial section of the Australian community from such oppressive and damaging humiliation, intimidation and vilification. Sadly, I have seen very few in the media in recent times take up cudgels in defence of the latter. Bolt has published hundreds of pieces in his blogs and elsewhere attacking Aboriginal people, individually and communally, read by and influencing very large numbers of people. Some others in the media have pursued similar courses. Where has the forthright response been from journalists while this has been going on? Will there be one now, or will you all simply get side tracked by “freedom of speech” cries, forgetting that such rights rely on the proper exercise of other responsibilities? I accept much of what both Guy and Jeff are saying here but isn’t the central question being raised within the public debate an issue of whether this is a threat to free speech or not. I wonder if you effectively concede too much ground over this issue. Yes, it would be better if there was a social movement creating a genuine public sphere and would be better if we weren’t reliant on the courts to slap Bolt down, but this isn’t the case so wouldn’t it be better to engage the issue at hand rather than relate this and every other issue, in a kind of narcissistic way, to the state of the left? I don’t think you need to defend the state as an adjudicator of free speech to say that this is in no way a threat to free speech (given Bolt’s immense media power) and that what we might discuss here is who has the power to speak, what are they permitted to think and say, and under what conditions can they say it. I dunno. I think the free speech thing is a furphy: after all, it’s not like Bolt has been silence in any way. What really matters is the political implications. Basically, I can’t see how Bolt emerges from this weakened. How does a judge making a few comments about his low journalistic standards diminish him in the eyes of his readers? Did any of the people celebrating the result previously think Bolt was actually a very accurate reporter? Of course they didn’t (cos he isn’t). As I said, the law will probably be changed as soon as the Liberals get the chance. And then we’ll be back where we were, albeit with Bolt the absolute centre of the conservative movement in Australia, much more so than he was a few years ago. It was kinda my point that there is a discussion to be had about what constitutes free speech given Bolt’s media power and so on. It’s relevant because that is the terrain in which the Right is fighting it and needs some redress. In terms of the political implications, imagine the impact a Bolt victory in this court case. Couldn’t you just as well argue that the ideological battle for the Right has always been about pushing the boundaries of what is “sayable” and “thinkable”. In that sense, allowing the rhetoric of “fair-skinned aborigines” and the rest of it to stand would have been an unmitigated disaster for political discussion and debate in this country. Yep, there isn’t a social movement to see to this and was a limited kind of thing done by a court and Brandis promises to remove the legislation that allowed it. But right here and right now Bolt is pinned publically by the courts as a racist uttering things that are beyond the pale even for such dominant institutions. None of this closes down the space to discuss the limitations of this censure or what would constitute genuine free speech or what is ethically acceptable to a just society. Yeah, but pinned publicly for whom? I would have thought that the people most celebrating the decision already had no time for Bolt, and that his supporters will not be in the least dissuaded, since it fits so perfectly into the populist narrative of PC activist judges gagging plain-spoken truth tellers. Well the parameters, limits, boundaries of what gets thought and said, what counts as “common sense” and what counts as “loony raving” within public discourse at any particular point change and shift. It’s Bolt’s main objective to shift this in a certain way and he failed here to bring back a pernicious set of racist ideas back so far into the discussion that they are publishable in a mainstream newspaper. It surprises me a little that this is cause for regret. Resentment and martyrdom will always be part of what he peddles … if not this issue then some other. I believe you are missing the point. There is a clear distinction between what you are discussing re: how far do you draw the line when it comes to an investigative journalist or a well considered opinion writer debating a sensitive issue and what Andrew Bolt did in this case. The simple fact is Andrew Bolt did not act in good faith when writing his opinion pieces as the courts have found. Good faith is an abstract and comprehensive term that encompasses a sincere belief or motive without any malice or the desire to defraud others. It derives from the translation of the Latin term bona fide, and courts use the two terms interchangeably and have been deciding what is bona fide in relation to a range of matters for hundreds of years. The concept of good faith or bona fide is not rocket science when it comes to applying it to a journalist’s writings. As in other areas of law, legislation can be structured to ensure that if a journalist took reasonable steps to ensure the accuracy and the basis of their story was done in good faith then they will be afforded protection, as is the case with sec 18D of the RDA. I have not heard one reasonable person come out and dispute His Honour’s assessment of Andrew Bolt’s modus operandi when it comes to his selective writing skills. Remember sec 18D was never really tested in this case due to the fact that Andrew Bolt did such an appalling hack job. So in essence we will never know the true implications in relation to how a court would decide as to how far a journalist can go in relation to such matters. So everything else is speculation. Margaret Simons also discussed the concept of whether society needs to be protected from irresponsible journalism. I believe the answer should be yes. We have laws protecting society from irresponsible acts by Doctors, Lawyers, Accountants, Retailers, etc. Why should journalism be one of the only professions not required to act responsibly? Remember the change to the concept of the profession of journalism which was pushed by the industry was designed to replace the belief that journalism was no longer a “craft” learnt through vocational training but rather a profession which contained a higher standard of training and skill. They can’t have it both ways. So if they want to be counted as a professional working in a highly regarded profession then responsibility comes with that. As an Accountant, I have to follow that concept every day. Another point being that society feels it is appropriate to protect itself from irresponsible behaviour from those who skills and services we engage (the most obvious example being the Trade Practices Act). The reason why the concept of protection from irresponsible behaviour exists is because just about every transaction entered into by a consumer and a provider has an intrinsic value. Are the media profession suggesting that journalism has no value and therefore no protection from irresponsible behaviour is required? Interesting concept. No sure how Rupert would feel about there is no value in what journalist do. Now some may argue that it does have a value and that self regulation is the means to protect against irresponsible behaviour. Remember in every other profession there are still remedies within legislation that allow for the absolute resolve of issues through our court system if a self regulatory outcome is unsatisfactory. Again why should journalism be exempt from this process? Furthermore, the main yardstick when it comes to effectiveness of self regulation is the public’s perception at it is effective. I would argue that ever since the cash for comments drama, the public have no faith in the self regulation body of the media. Even those in your own profession regard it as a “toothless tiger.” Furthermore, the generally accepted journalistic code of conduct suggest that consumers of media believe there is a value in the products that it produces hence the reason why truth, balance and without fear or favour feature so predominately in such documents. Essentially this code of conduct is what media organisations believe is their responsibility to their customers. What baffles me is that the likes of Alan Jones, Ray Hadley and Andrew Bolt are a blight on their profession yet via a distorted concept of where their profession sits relative to society’s expectations, they as a collective group seem to want to defend Bolt and his ilk’s right to continue to trash the reputation of journalist’s livelihoods. It amazes me that they appear not to be concerned that poll after poll, their profession is regarded on par with politicians. As an Accountant I certainly wouldn’t accept rogues trashing my professional integrity. Now in relation to the specific Bolt Case. His Honour was not saying Bolt had no right to voice his opinion nor did he try to set a precedence on what can and can’t be reported. His Honour was simply stating that Bolt’s opinion was racist and vilified a section of society using information that was not true. As pointed out by others, if they plaintiffs had of brought action against Bolt under defamation laws, they would have also won. The fact that Bolt virtually broke every rule in News Ltd’s Journalistic Code of Conduct (i.e. check your facts, report without fear or favour, etc) really should be the end of the matter. The only reason the judge commented upon his research was because that was the only lame defence Bolt had and which he ran with. He tried to claim that his opinion was based on what he thought was the truth and that he had reasonable grounds for believing it was the truth. Fortunately His Honour didn’t buy it and was simply giving reasons why he believed it was not reasonable for an experienced journalist, as Bolt presents himself, to believe he was telling the truth without any sort of adequate research. So in essence 18D was not really tested in this case due to the fact that his story was full of errors. Let’s face it, most of the discussion surrounding this case has been about free speech and not whether His Honour was wrong about Bolt’s journalistic ability which is a good indication that most people think he is useless at his job. And my point is that whether journalists like it or not, the public expect them to take their responsibility seriously and make every effort to report the truth. Like Doctors, Accountants and other certain professions with great responsibility, society bestows upon them and expects higher standards and unfortunately that is just life. I don’t have a problem with the courts determining what is the truth and what’s not as they have been doing it quite successfully for hundreds of years. Finally Freedom of Speech. The concept is not absolute and I am not sure why people believe it is. No right is ever one way nor is it ever absolute. Freedom of Speech comes with great responsibilities. I would bet my last dollar that when our forefathers developed the concept of Freedom of Speech, it was framed against the back drop that Freedom of Speech would be done responsibly, honestly and in good faith. I don’t believe for a second that they would have expected or wanted Freedom of Speech to encompass the concepts of omitting facts and distorting the truth to make a point. This piece seems ultraleft to me. In the current climate, in the absence of a mass campaign, legal recourse is one of the few ways of attempting to fight back. Yes, better if there was a mass campaign, but there isnt, possible mass occupation campaigns notwithstanding. Although we on the Left might opt for a different strategy, to sit back and say we can’t support a court victory over Bolt under the Racial Discrimination Act because it doesnt meet our standards is ultra. Compare it to a workers struggle. Yes, better that a strike is so strong that it simply forces the employer to concede all demands, without recourse to the courts at all, but that doesnt mean that if a strike goes to court and workers end up with some sort of compromise, that we dont celebrate it as a victory. Look, I take the analogy but isn’t the difference here that the victory is entirely symbolic? 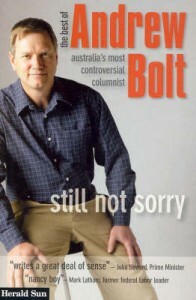 For all the talk about free speech, Bolt’s not impeded in the slightest. Will there be a change in how the media covers Aboriginal issues? I don’t see it. I mean, the Oz today runs Barry Cohen explaining how he agrees with everything Bolt says (even though he does a kabuki performance of being too scared to spell it out). Well, the piece was written about a very specific group – the ‘materialist’ left (for want of a better term), one of whose core beliefs is the moral and political legitimacy of non-legal resistance, support of armed struggle abroad, and, potentially, of insurrection at home. Explicitly and implicitly, such a political imperative contains within it the imperative that it be legally possible to argue for such acts. By its very nature, that is an argument that the public sphere is, and should be, autonomous from the state, save for restrictions where the speech itself is part of a universally abhorred crime (ie explicit threats to kill named individuals, etc). To urge that the state should regulate concepts such as insult and offence, but should allow speech that targets it with attack or destruction, is simply politically incoherent. That is objectionable on general moral/political grounds in any case (in any society worth the name, i’d want a pretty robust public sphere), but it is also disastrous if you need to defend radical speech at any time – for the simple reason that you haven’t established the autonomy of the public sphere as an entirely separate representative of the body politic. For if the state can legitimately regulate speech in any comprehensive fashion, then by definition the thing it has the most legitimacy in regulating is speech that challenges its legitimacy. The more extended examples of regulation – on racial insult etc – are by their very nature only guaranteed by the state’s right to regulate calls for its delegitimation ie overthrow. To be able to defend that practice – absolutely, unequivocally, and as the first political right – a consistent approach is essential; it strikes me that the only way in which the freedom to advocate such things can be maintained in a semi-liberal capitalist society is by projecting that simple and consistent message, both in terms of having a clear core group committed to it, and thereby drawing the support of a wider left and left-liberal hinterland. As to above comments, many of them fall into the inconsistency trap. The idea that journalists should be licensed, and that in doing so, the state should determine questions of good faith,limits of acceptable opinion, or reportage vs propaganda can be turned around in an instant – against most left publications in particular. It’s because the parameters of ‘common sense’ change so much (eugenics anyone? ), that the whole idea of reasonable and unreasonable speech should have no state sanction. To suggest that the conduct of the public sphere should be subordinated to a ‘freedom from’ provision – intimidation and insult as suggested – seems to be a blank cheque for state adjudication of speech. Is a union threatening a strike therefore intimidating speech to the company it targets? And so on. Some thinking beyond the schadenfreude is required here. In general I must say I’m surprised that some people who have a much more ‘superstructural, less ambiguous view of the state than I do, are nevertheless willing to, by silent consent, extend its power over political and social debate. I am not arguing that the state should regulate speech. I am for simply acknowledging that, given that a group of Aboriginal peple have taken Bolt to court, and have won, a fact we had really no input into, the left now has to decide whether they applaud the result, or condemn it. Also, you seem to be arging for a principled position on this, whereas I would say our attitude should be governed by the particular circumstances in each case. State regulating the free speech of nazis in a period of right-wing growth? Id be for it, especially if it occured when there was no corresponding left wing fight back. Id also argue it depends on what speech restricting law we’re talking about. Seems to me the state has conceded the Racial Discrimination act under pressure, but actually hates it, and hates even more that it’s been used against one of there own. Witness how the ruling class have gone ballistic over the fact that the law has actually been used. I would agree that the ruling is basically symbolic, but that is no reason not to applaud it. Yes I think JC makes a good point about how certain sections of those in power have gone feral about the use of this law. I wouldn’t argue on principle that the state should regulate speech either and wonder if there is a tendency here to urge some absolute consistency onto the ‘materialist left’ when the world we live in and the public sphere itself is riven with distortions of power and class often requiring compromise and choice about our responses, issues to take up and the way we engage them. Do you chose this moment when Bolt is targeting Aboriginal people with this racist attack and then claiming the right to free speech to stand up for an some ideal public sphere against the state regulatory power? I think I’d prefer to focus on issues such as how the undue media power of some individuals distorts public discourse in particular ways. I’d agree with that tactical orientation, I guess. I mean, I certainly wouldn’t be joining with the IPA’s ridiculous boo-hooing about Bolt’s free speech. But I guess my sense of the dynamic is slightly different. To me, it’s precisely because the Left is so much on the defensive that I reckon there is more of a risk of such provisions being used against BDS campaigners or Aboriginal activists. Well, if by ‘principled’ you mean proceeding from some core idea about how the world is and ought to be, then guilty as charged. But if by ‘principled’ you mean cleaving to abstract notions of right, or disregarding questions of material power, then you’re wrong. None of the subsequent commentators tackle my central point – that materialist leftists, wanting the freedom to advance resistance to, or overthrow of the state, put themselves in discrediting contradiction if they then urge support for state controls on speech for strategic purposes. The main argument against this strategic resort to speech controls is that it’s simply absurd – how can someone sell a newspaper urging revolution against a state, that they then call on regulate ‘insults’? It’s utterly discrediting. It renders any vocalised chalenge to the state, absurd, unserious. Furthermore, in defending one’s right to speak in that manner, there is a relationship between truth and solidarity. You can’t demand solidarity in the protection of such speech if you dont have a reasonably consistent position on how the state should relate to speech – for what would people be solidarising to? What would they be joining to? Look at the hopeless mess that David Marr has got himself into over the Bill Henson issue and the Bolt judgement. He has utterly undermined his own discursive power by cleaving to received left-liberal ideas. As to challenging uneven power in the public sphere, I’ve done that pretty consistently (and others have too) – in pointing, in numerous articles, to the one-sided notion of freedom on the right, the clientalism of the thinktanks, the construction of pseudo-debate in news ltd, the racialism inherent in much of the commentary on aboriginal australia, the internet firewall and many others. but if an issue comes up it comes up. If the state is supported in controlling ‘insulting’ speech with legal sanction, how on earth is it possible to defend the use of ‘dangerous’ or ‘violent’ speech, and keep a straight face – or have anyone honour your request for support on such a matter, knowing you might turn in the opposite direction the next day? Doesn’t that qualification render calls for insurrection and armed struggle subject to legitimate censorship and state restriction? Other than that contradiction I find your argument compelling. 2. That the ‘obviousness’ of truths and facts is not sufficient to change this. Ah well, not sure there is much more to say. For my part, I’m saying the idea of “urge support” or even the adoption of it as a particular “strategy” is too strong a characterisation for the stance being taken here towards this court case and its use of the legislation. As JC has explained, this case has come along, prosecuted and won by a group of Aboriginal people that have been subject to racist attack, to which we have had no input and to which we might either applaud or condemn or remain indifferent. Where is there any principled or strategic effort by this ‘materialist left’ to urge the state to censure anyone? Is it by virtue of it not being particularly exercised by a court decision that sees Bolt’s viciousness slapped down? Do we then immediately refer each and every such issue that comes along to first principles regarding critical resistance to state power (what are the nuances in this kind of position anyway?) no matter what its specifics and even if it obscures more pressing issues such as who has access to free speech, power imbalances within the public sphere, the regressive role of certain media outlets and so on. This discussion also makes me wonder whether Guy is referring to ‘we’ the materialist left or ‘you’ the materialist left, which is further confused for me by my lack of familiarity with the term itself, ie. ‘materialist left’ (maybe this is just my issue). To urge ‘others’ onto the consistency of their own simplistic positions is different to advocating a position that ‘we’ need to develop. Perhaps it is a mixture of the two because some of the discussion feels to me like it is intended to expose some kind of logical absurdity that goes along with belief in revolution and the like. It should be said that if you are attacking Andrew Bolt on his accuracy you should get your own facts straight. His father is NOT a neo-Calvinist. I’m not sure how you decided to make that up but I do think attacking Andrew should not include lying about his family for your own sake- then you are only sinking to his level and should be ashamed.